Classic Events to Fit Your Style. 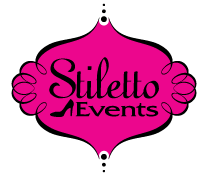 Stiletto Events is your customizable wedding and event planning company. Classic Events to Fit your Style…because your style is always classic. We offer a unique and one of a kind experience for your wedding planning needs. From full service to day of coordination, we will provide you with everything you need to plan your dream day! With the exceptional level of service Stiletto provides, it’s no wonder we’ve got everyone talking. We were even awarded ‘Best Wedding Planner’ on Denver’s 2012 A-List! This is the second time I have used Stiletto Events. My first daughter was married in 2012, my second September 2015. If I had a third daughter, I would use them again. In planning the wedding, Cydney’s experience and vendor contacts helped us tremendously. She thought of things I wouldn’t have and she managed the contracts representing our best interests. The day of the wedding she handled all of the details so that I wouldn’t have to.